Magento is an open-source e-commerce platform for the online retail store. It is a widely accepted framework to build scalable, robust and feature rich e-commerce application. Magento framework help to develop or improve the overall look and browsing of the website as per the user needs and requirement. It increases visibility and large customer volume. 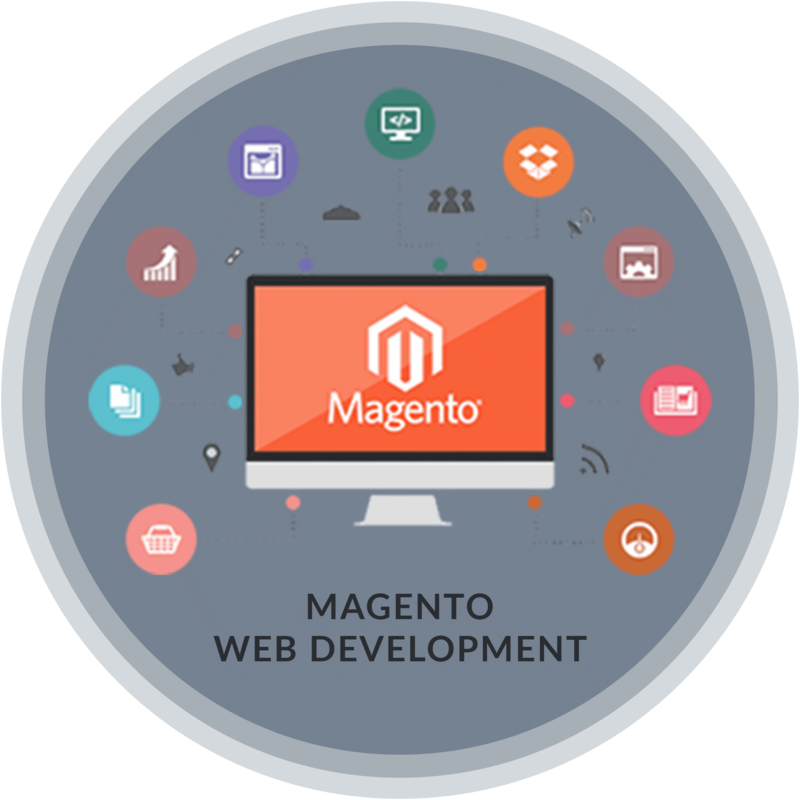 We are experts in almost all aspects of the Magento platform, from development to maintenance, customization to extension customization. Magento offers extensive catalog management. Magento has features to make search engine optimization smoothly for your online store. Magento ecommerce development platform offers unparalleled order management system. It allows the user to control multiple website and store within a single installation. Magento brilliantly incorporates a plethora of alternatives for payment and shipping options. User account can be managed easily. Magento ecommerce development platform comprises of great back end tools and community for customer support. It offers numerous options for tracking, analyzing and reporting. Our Wide Array Of Magento Services.